GE® 30" Built-In Gas Cooktop. Deep-recessed cooktop contains spills for quick and easy cleaning. 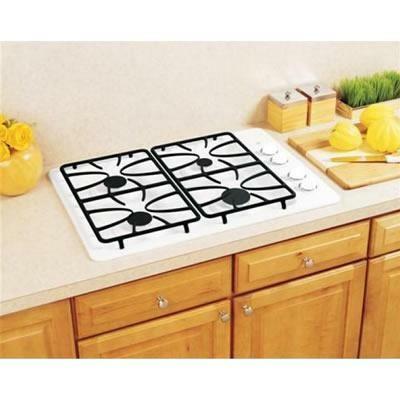 Sealed cooktop burners Keep spillover contained on cooktop, making cleaning quick and easy. Precise simmer burner delivers a low setting of 140 degrees. Matte black medium-cast grates hold cookware securely over burners.